This past weekend was absolutely stellar, especially Saturday. First off, Jesse and I slept in until about 8 a.m. and then headed to Besaws for breakfast. Let me just say that I adore going out for breakfast, but sadly, it’s something we rarely do. We truthfully couldn’t even remember the last time we went out to breakfast together. Needless to say, it’s a real treat for both of us and it was so nice to spend our Saturday morning together (usually I’m at yoga and sometimes Jesse is teaching). We made a point to get to Besaws early and thankfully, we didn’t have to wait longer than 10 minutes to get a table, but the place was already packed and it was only 9 a.m. Besaws is always hopping and there’s always a wait on the weekends. It’s well worth waiting for though. The food and quality is fantastic. 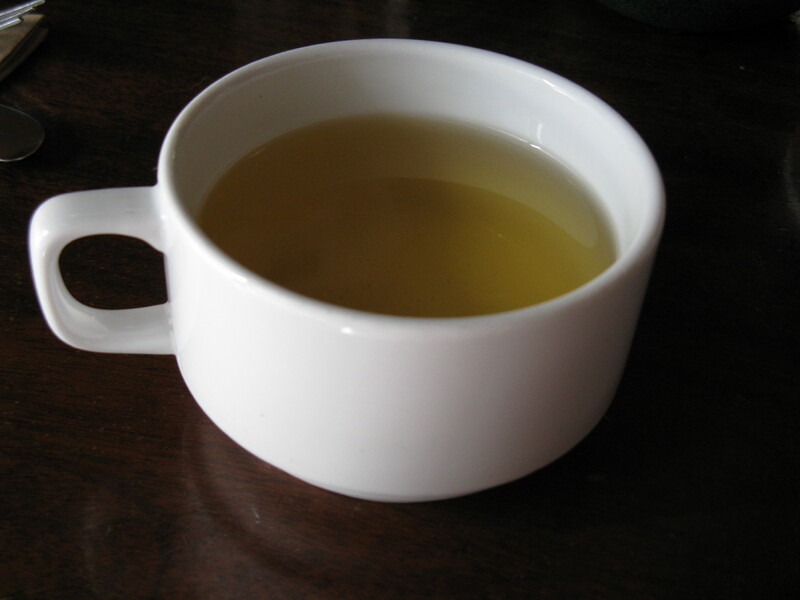 I had a pot of jasmine green tea, two eggs over easy, seasonal vegetables and honey-cured bacon. 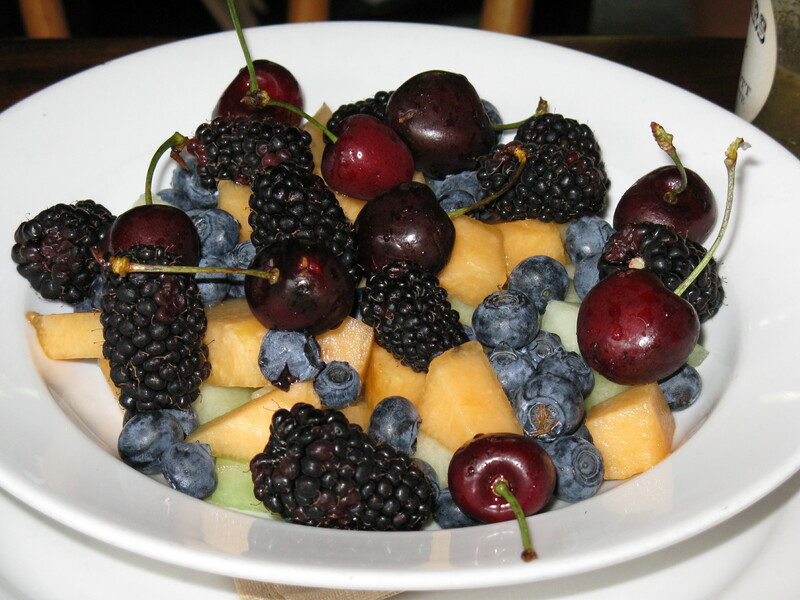 I also shared some fresh seasonal fruit with Jesse. Everything was perfect — the food, Jesse’s company, our conversation, the sun shining in through the window next to us — it all made me so cheerful. 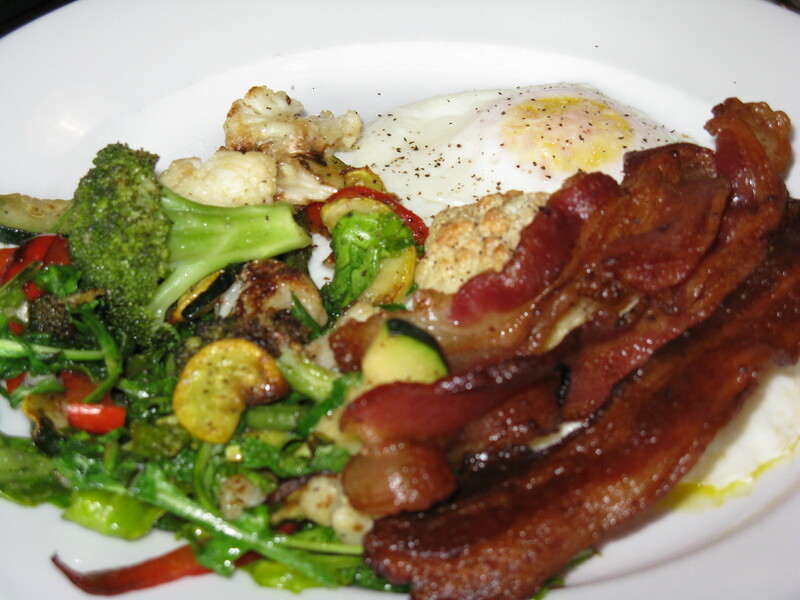 Seasonal vegetables, honey-cured bacon and two over easy eggs. After finishing, we went for a walk through the neighborhood to kill some time until our next stop, or I should say my next stop. I popped in at Recreate Fitness to speak with the owners about some details. I love that place and the people — both teachers and students alike — and was elated the other day when I got an email from them asking if I wanted to join the Recreate team as a fitness coach. I think you know what my answer was. I am beyond excited! From here, Jesse and I zipped up to Sauvie Island to pick blueberries at one of the farms there. The weather was so perfect for it — sunny and warm, but not too hot. We enjoyed each other’s company while picking berries and tossed around some great ideas regarding fitness, health, etc. while harvesting. It was a good time. 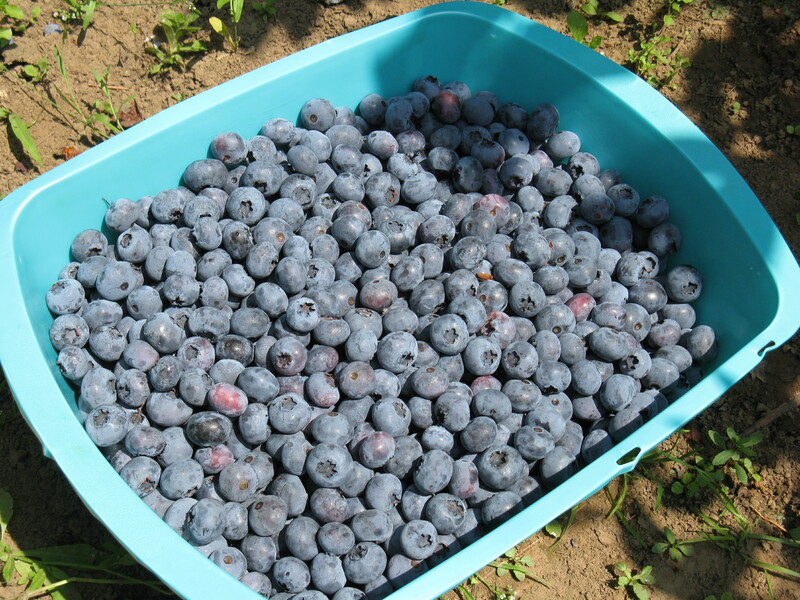 Plus, we left with 17.5 pounds of fresh, local blueberries! Our freezer is stocked and there’s a big, ol’ bowl in the fridge to snack on. 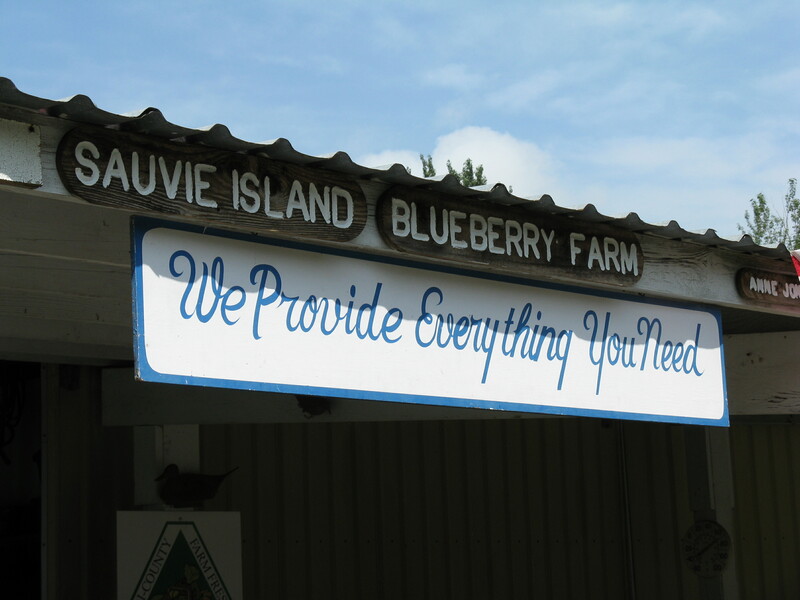 Welcome to the Sauvie Island Blueberry Farm. 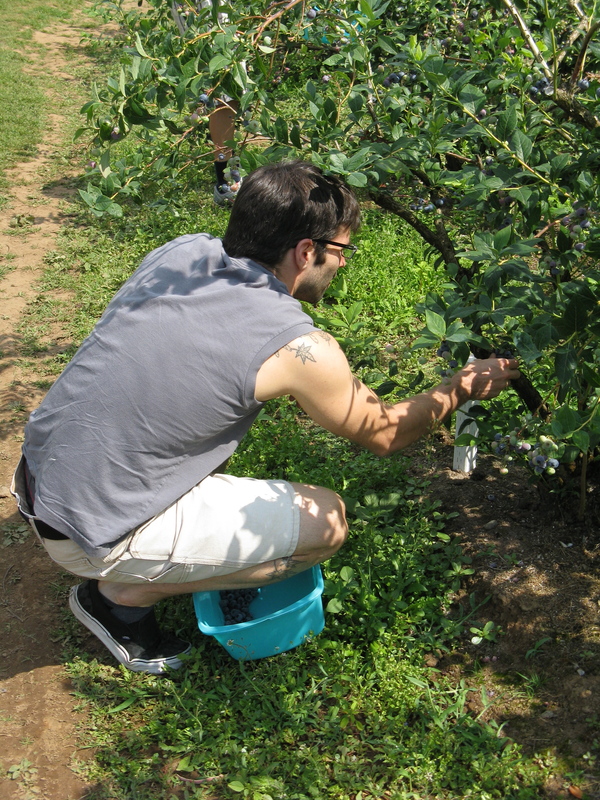 Jesse working hard harvesting blueberries. Jesse and I filled two of these tubs. 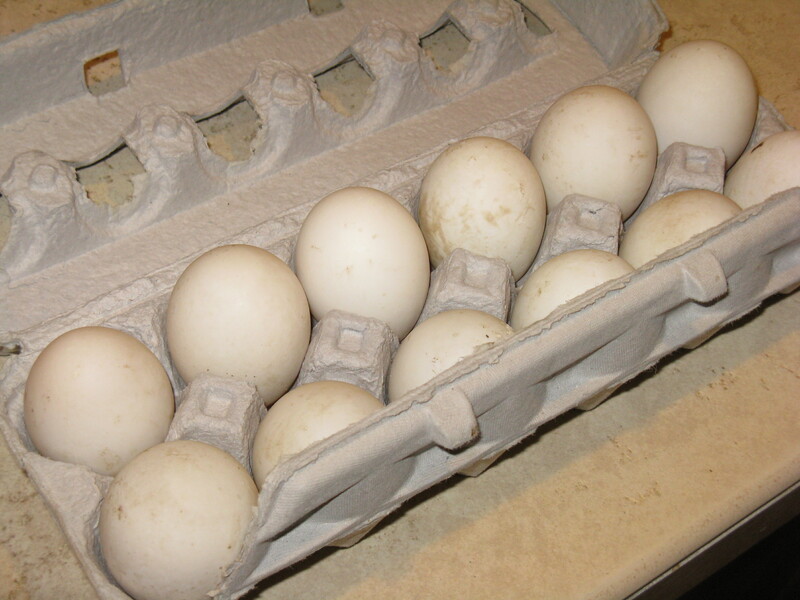 On Sunday, I remembered to go back to the farmer’s market and picked up some grass-fed stew meat, grass-fed ground beef, and one dozen duck eggs. I was stoked about the duck eggs for two reasons. First, I’ve never had duck eggs and am excited to try them out and second, I got the eggs for half off! Normally, it’s $8 for a dozen duck eggs, but I paid $4! The farmer said her ducks are popping out eggs like crazy and she can’t sell them fast enough. I was happy to help her out and excited to try something new. The eggs are HUGE … probably about the size of jumbo chicken eggs. I can’t wait to fry some up for breakfast with some sausage and avocado. I’ll keep you posted about how they taste. HUGE duck eggs from the farmer’s market. Your weekend looks like it was a good time! I haven’t been blueberry picking in years. Looks like you guys got a ton! Yep we loaded up and our freezer is stocked! 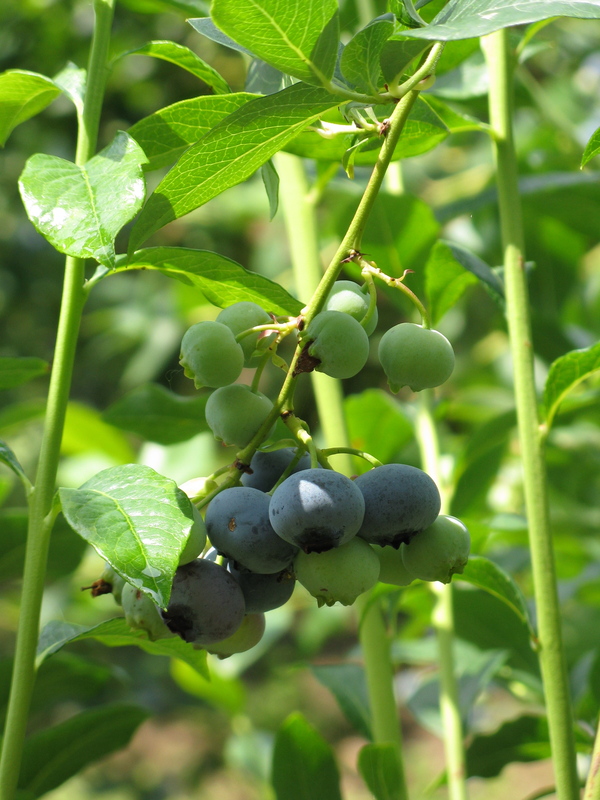 We go blueberry picking every summer at the same farm and each year we come back with more blueberries. It was a wonderful weekend, indeed! Your weekend sounds so nice! I am interested to hear how the duck eggs are. I’ve only used them once, and it was in baking so didn’t get to try them by themselves. I’ll keep you posted, Krystle. I used one of the eggs in a recipe, but still haven’t tried any by themselves. My partner, Jesse, fried a couple yesterday and said they were tasty and richer than a chicken egg. Hey Krystle, I had two fried duck eggs this morning and they were delicious! Very flavorful with big, orange yolks and the taste is a little bit richer than chicken eggs. I highly recommend trying some if you have access to them. Cool I’ll have to keep an eye out for some! Wow, awesome weekend! The food looks good, and I want some farm fresh duck eggs! Thanks, I’m stoked! No, I’m not certified yet, but have a lot of fitness experience and have known the owners of the gym for quite some time. I’m going back to school this fall to get a certificate in fitness technology (exercise science) and will finish the program by next spring or summer. The program will also prepare me for a personal trainer exam through ACSM, NSCA or ACE. I already have a BA which is why I’m doing a certificate program rather than a degree program, though I can always change my mind and do more if I wish. The program is actually through the community college here in Portland, which is nice because it’s cheaper that way 🙂 I’d love to utilize fitness coaching as a way to spread the paleo and real food gospel, and essentially offer some nutrition advising/counseling for people. For a bit more credibility though, I will probably get a nutrition certification as well, but will most likely do that at the end of my program. No worries about all the questions! I’m happy to answer and offer insight.